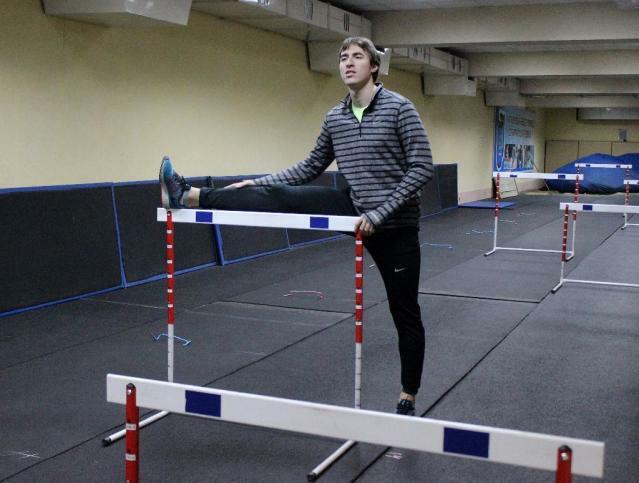 Barnaul (Russia) (AFP) - World champion Sergey Shubenkov glides over a row of hurdles as he trains for an Olympic games he could well miss in a stuffy facility with a leaky ceiling in his Siberian hometown. 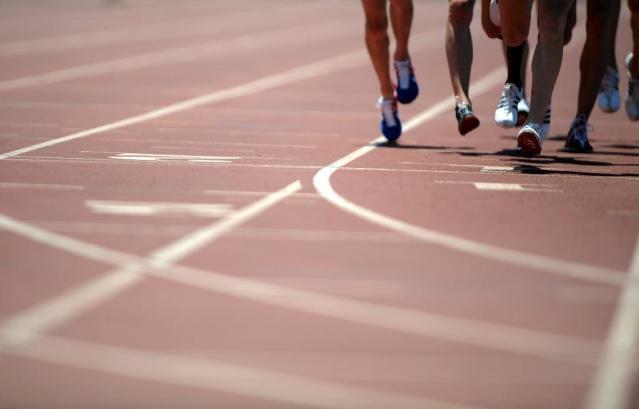 The 25-year-old athlete is a victim of the fallout from the scandal over doping allegations that has seen Russia's track and field team hit with a provisional ban that could exclude it from next summer's Rio de Janeiro Olympics. But what makes that prospect even more galling for Shubenkov is that in an unfortunate twist of history, he could become the second member of his family to miss out on a shot at Olympic victory. His mother, prominent heptathlete Natalya Shubenkova, missed the 1984 Los Angeles Olympics after the Soviet Union and its Communist allies boycotted the Games -- payback for the West's snub of the 1980 Moscow Olympics. "It's like there's some kind of karma," Shubenkov said after a recent training session in the city of Barnaul, where he trains in an old biathlon facility converted into a 60-metre track. "I don't think that history will repeat itself, but we have never come this close to that situation." Standing later beside her trophy case in her apartment, his mother Natalya agreed. "It's really unpleasant to think that this can happen twice in the same family," Shubenkova told AFP, 14 Soviet-era medals and brooches pinned to her jacket. Shubenkov's participation in the Rio Games depend on whether Russia can revamp its scandal-ridden anti-doping system and convince the International Association of Athletics Federations (IAAF) to drop its suspension. A World Anti-Doping Agency (WADA) independent commission revealed in a report last month that Russia's anti-doping agency RUSADA had "routinely" violated international testing standards. Russian authorities have vowed to clean house, having already forced out RUSADA's leadership. The IAAF will decide on whether to lift or maintain Russia's suspension after its inspection team reports, at the earliest in late March. Government promises and a bureaucratic reshuffle at the top of the sport in Moscow have reverberated as far as Barnaul -- a city of 600,000 some 3,600 kilometres (2,250 miles) east of the Russian capital. Racing in Rio could be redemption for Shubenkov, who was eliminated in the semi-finals of his first Olympics, the 2012 London Games, as a 21-year-old. "When I would say I didn't make it to the final, people on the streets of London would tell me, 'you're young, next time,'" Shubenkov said, switching to English to impersonate Londoners. "I hope that this next time will work out." For his mother Shubenkova, the five-time Soviet champion who now heads her region's athletics federation, seeing her son in Rio would assuage three decades of bitterness after being sidelined from the world's premier sporting event. Shubenkova, 58, set a national heptathlon record in 1984, the year the Soviet Union and Communist countries snubbed the Olympics. Her 6,854 points stood as the Soviet record for six years. Shubenkova won silver at the 1986 European Championships but finished fourth at the 1988 Seoul Games, ending her career without an Olympic medal. "Everything would have turned out differently if I had competed in L.A.," Shubenkova said, convinced she would have earned a medal at those Games. "Maybe I would have a different job, maybe I would live in a different city or country. But we don't like to think that way in my family." 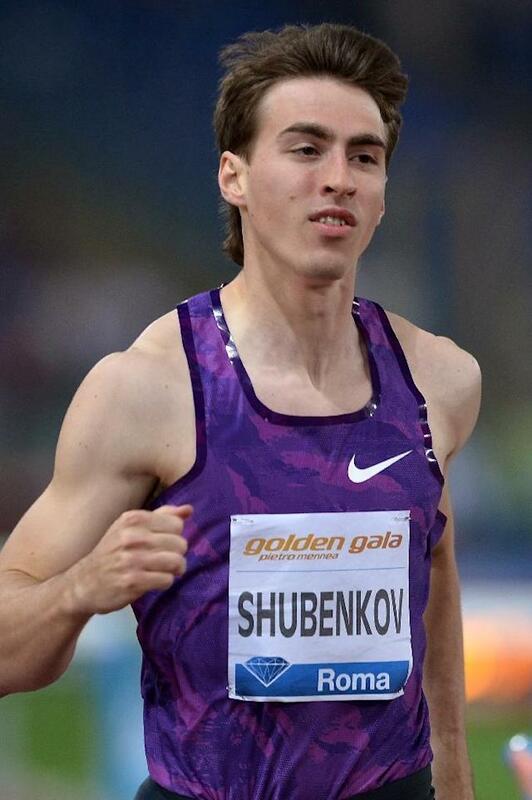 Shubenkov, who clocked a national record of 12.98 seconds to win gold in the 110m hurdles at the World Championships in Beijing in August, says he has never used performance-enhancing drugs and is regularly subjected to surprise doping tests, sometimes in the form of an firm knock on the door at 6 a.m.
"He's ready to do a doping test on live television," his mother said, grinning. "Please, go ahead." The two-time European champion has publicly denounced doping in athletics and deplored that clean Russian athletes are paying the price for their teammates' transgressions. "Given that Russian athletes are periodically disqualified for doping, this means that not everything is nice and rosy," Shubenkov said. "Of course there are lots of dirty athletes and on the Russian national team, too. But this is a global problem. Banning everyone is not going to solve it." Many Russian athletes and sports officials have denounced the WADA report for unfairly targeting the country amid lingering political tensions with the West. Shubenkov's long-time coach, Sergey Klevtsov, said Russia's suspension was an attempt to "get rid of competitors" but didn't say who could be behind such a scheme. Shubenkova dismissed claims that doping in modern Russian sport stemmed from the win-at-all-costs mentality of the Soviet era, when her country rivalled the West on all fronts. She insisted that her first real encounter with doping dated to the 1988 Ben Johnson scandal, when the Canadian sprinter was stripped of his gold medal at the Seoul Olympics after testing positive for the anabolic steroid Stanozolol. "I never thought about doping," Shubenkova said, gesturing toward her son. "I wanted healthy kids."